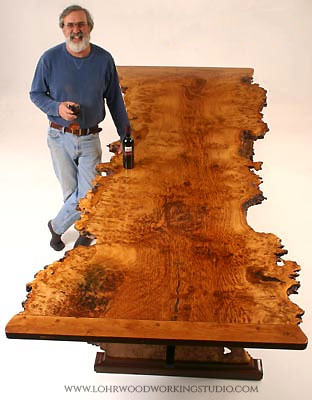 Description: In 2003 my clients Mr. & Mrs. Allen commissioned me to build the most astonishing dining table imaginable. 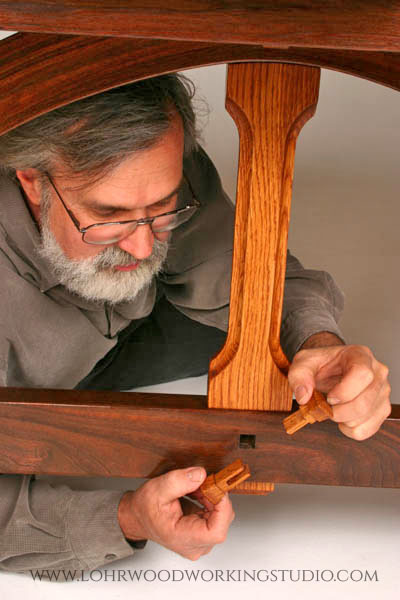 The only requirements put on me was that the table had to seat twelve and that the top had to be made from a single (not glued together) solid through-and-through cut random bark edge slab of beautiful wood. Being very knowledgeable patrons of the arts, the Allen's understood this project would have to evolve. No drawings where submitted, no restraints put on me for the design except to do my creative best. There was no stringent time table or narrowly defined business agreement but in Mr. Allen's words, "this would be a commission of mutual trust to produce a living work of art." A commission where both patron and artist would work together to produce the most astonishing work of functional decorative art imaginable. This project was clearly an experiment to the outer limits of creativity and artistic patronage. It quite literally pushed me to the limit of my capabilities. 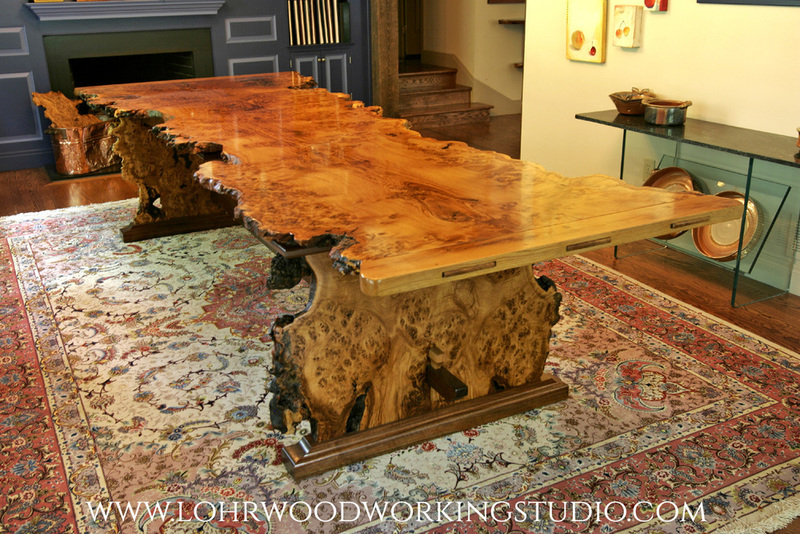 The slabs that compose this table were cut from a 22,000 pound English Brown Oak Burl log that was imported from England by Rick Hearne. The tree was pronounced dead after ~300 years of life on the Alnwick Castle grounds (the site filming from some of the Harry Potter movies). Mr. & Mrs. Allen, in association with Jeffry Lohr, purchased half of this extraordinary log to create an evolving work of art in mutual partnership. 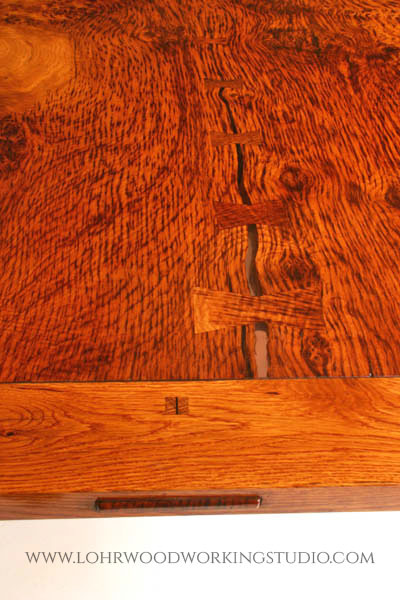 Price: This table was a unique, one-of-a-kind commission that has been sold. For a similar piece still available for purchase, see Resurrection.